Thanx brutha!!! I truly appreciate the support!!! Yup, you put those 3 in the SOLD OUT along with the Darkling Reverse Instar!!! Then 3 lone wolves came in and gobbled up the very last of the Baron Titan Mushi!!! You guyz are BEASTS!!! 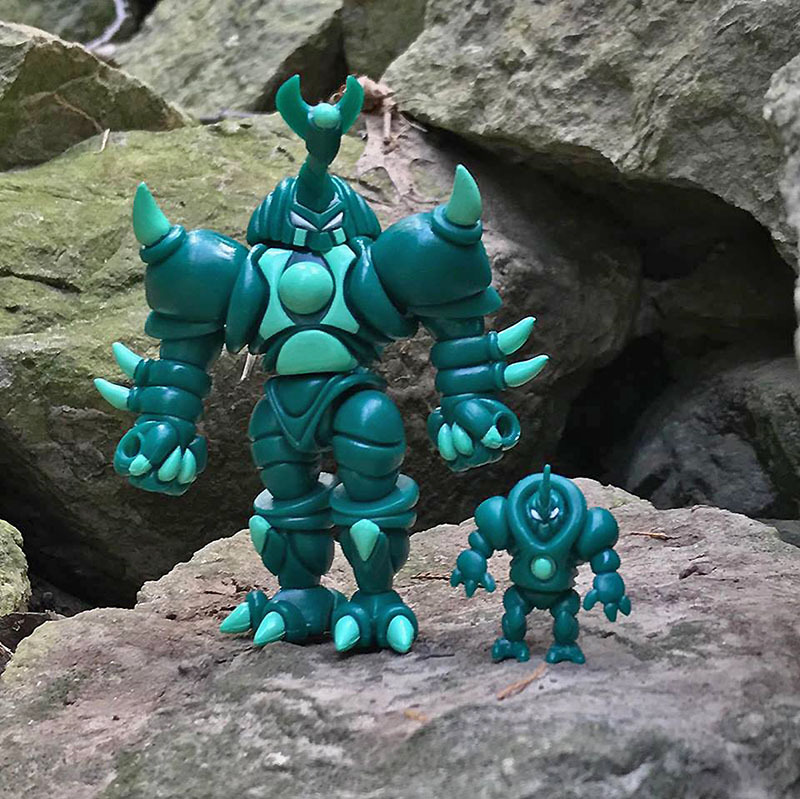 Now it looks like unpainted Omega Titan Mushi (1), X-Ray(2), NeoNonillia(9), Scarab Elite(9), General(7), MKII(9), & all the Wave 19 unpainteds (2-4 of each) are on their way to SOLD OUT as well. I can't thank my collector friends enough for their unwavering support!!! My bros Mark Vasquez & Pat Bussey just did a little revamping of my store!!! The new colors look really good; the semi-clear PVC catches the light in a way that clear does not. I think these will make good combinations with the Instar X and black blanks from a while back. Not sure how I missed this crazy cool build!!! 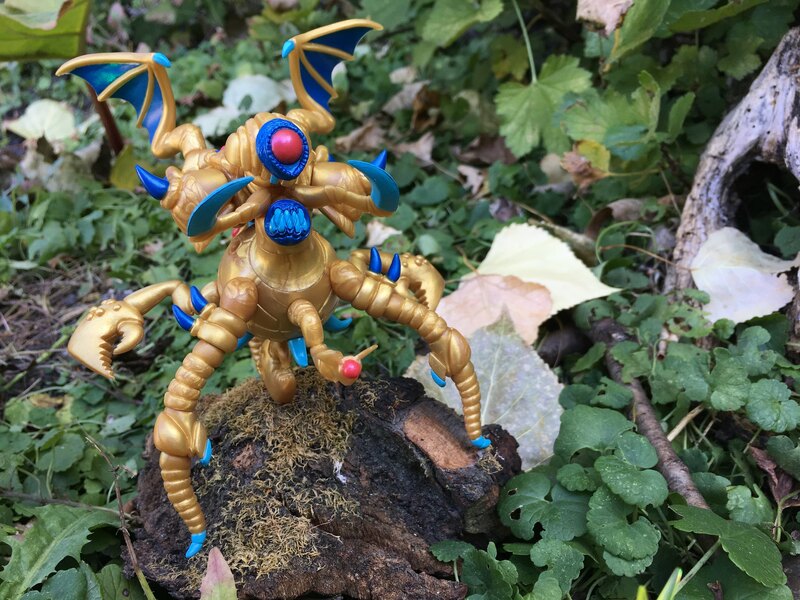 Totally mystic monster look with the fx semi-transparent pearlescent Kabuto Mushi figz!!! 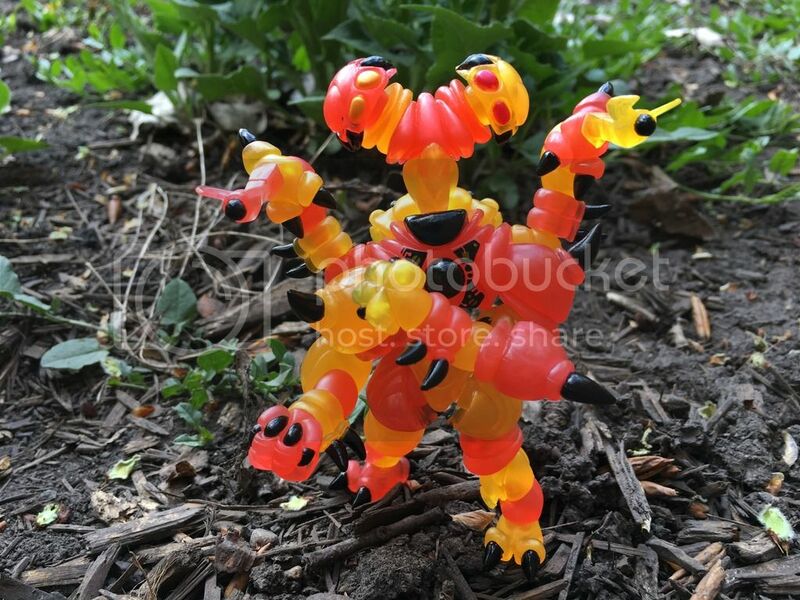 Dropping in with a silly build I did some time ago, made of a Darkling Instar Mushi and a Blister Instar Mushi. First build I've ever done with these guys and it was an absolute blast. 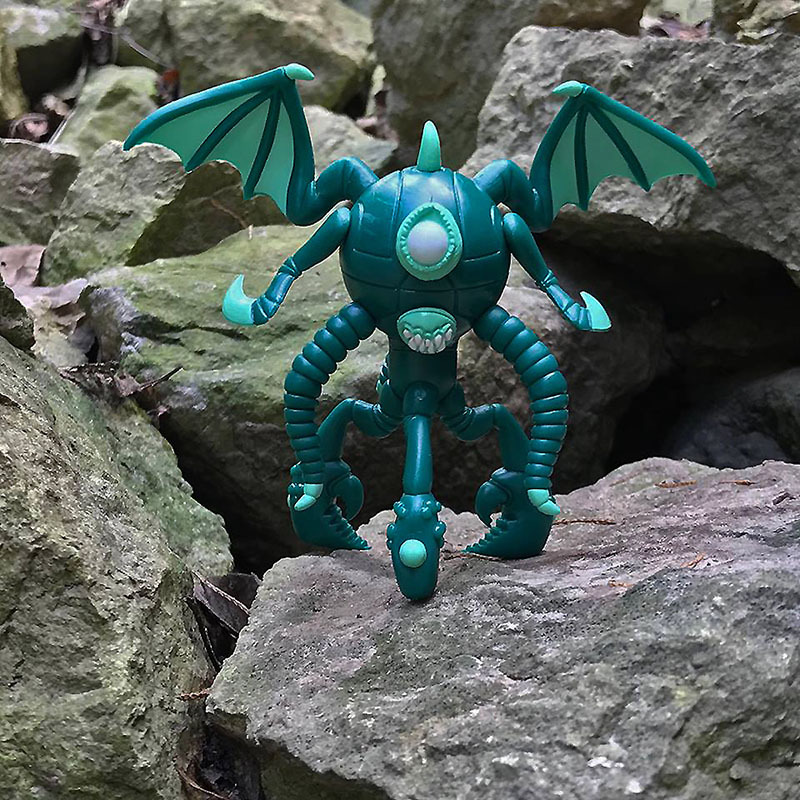 DragonM1 wrote: Dropping in with a silly build I did some time ago, made of a Darkling Instar Mushi and a Blister Instar Mushi. Whoa!! I'm loving this build, I may have to pick up a few Mushis and try out something similar! Builds as amazing as these, one word comes to mind, Masterpiece!!! 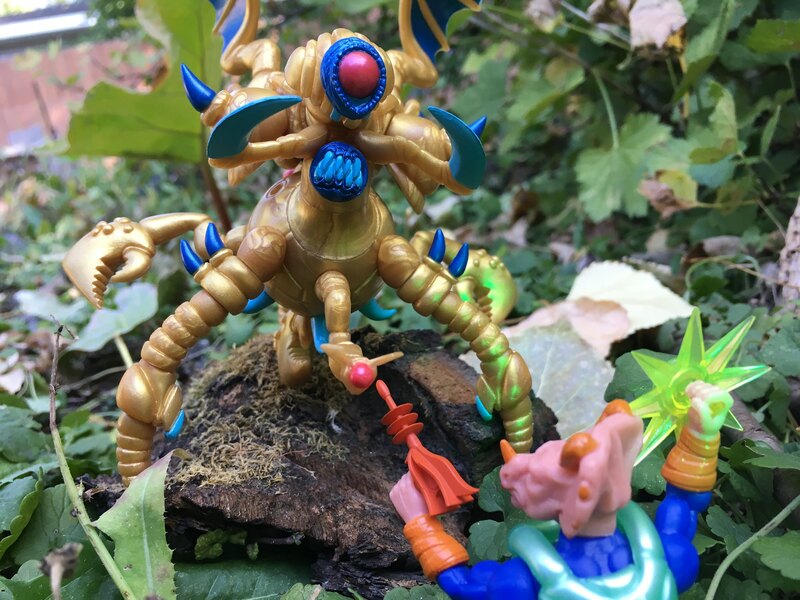 Here are Flora Rock Crawler & Rock Crawler builds I did with Kabuto Mushi "Rock Beetorians," Bio Master's "Contamination Beast & Spawn" parts, & Glyos' "Axis Joints." 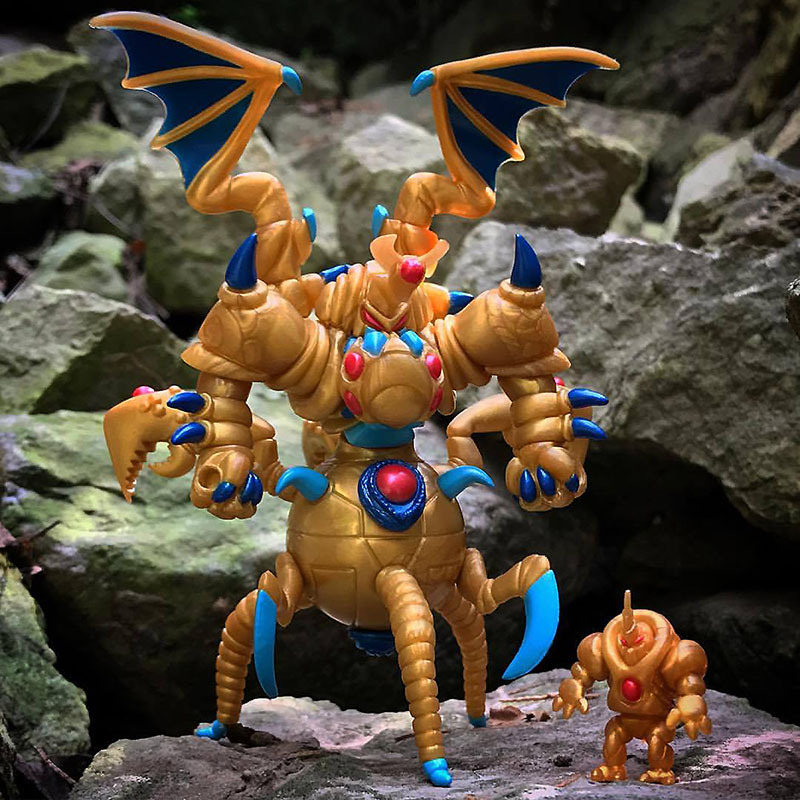 Super DX builder kit, individual Evolver Beetorians & accessories "LOW STOCK" already!!! I love the combo of the two evolvers! Genius, looks like a huge hungry spider beast stacked like that! 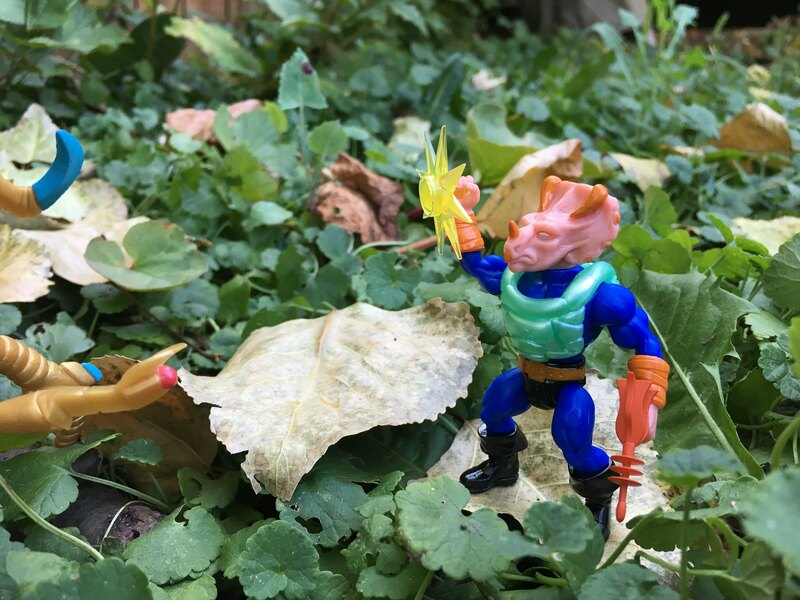 Had a realization on why the tigerforce colorway looked familiar. 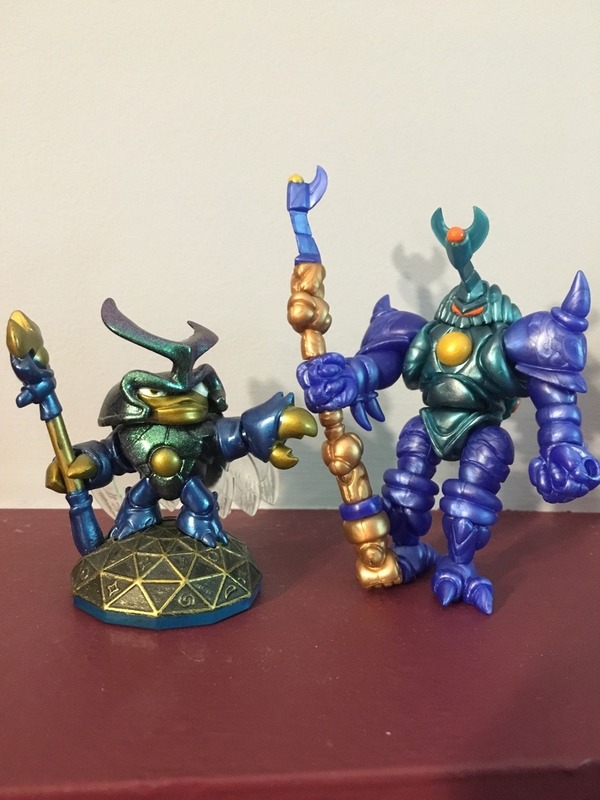 Its because there was a Skylander with 2/3rds of the colorway. Im going to guess this was unintentional, but you never know. 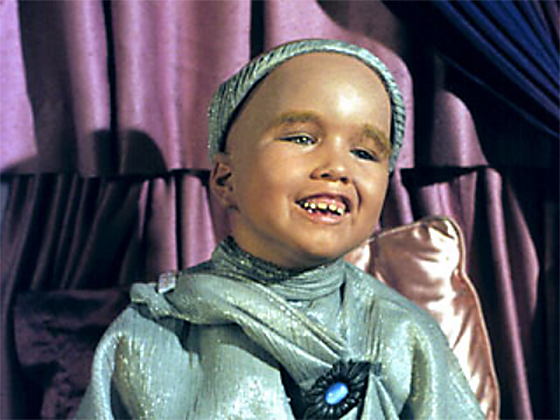 The characters name is Dune Bug btw. 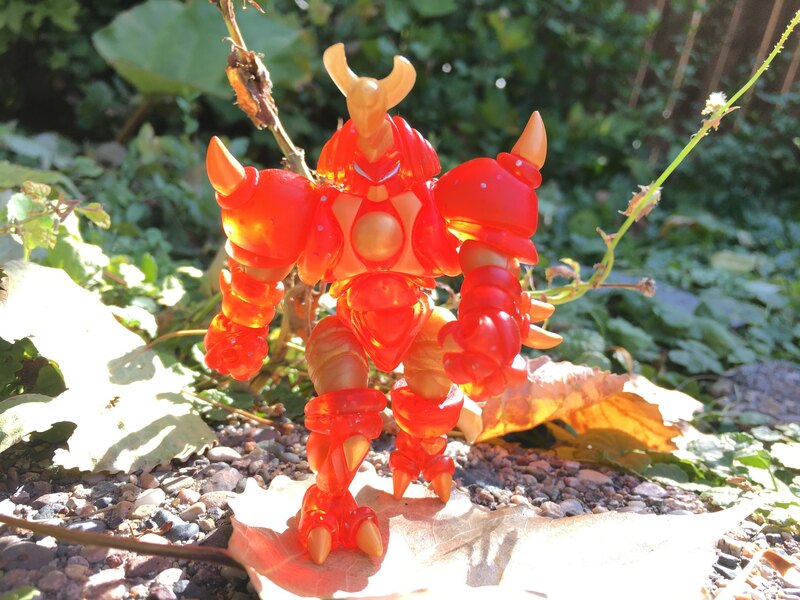 "AlphaOmega Godbeast" = 1 Glyos Villser + 1 Kabuto Mushi + 1 Bio Mass Monster + x2 Glyos Axis Joint Sets. 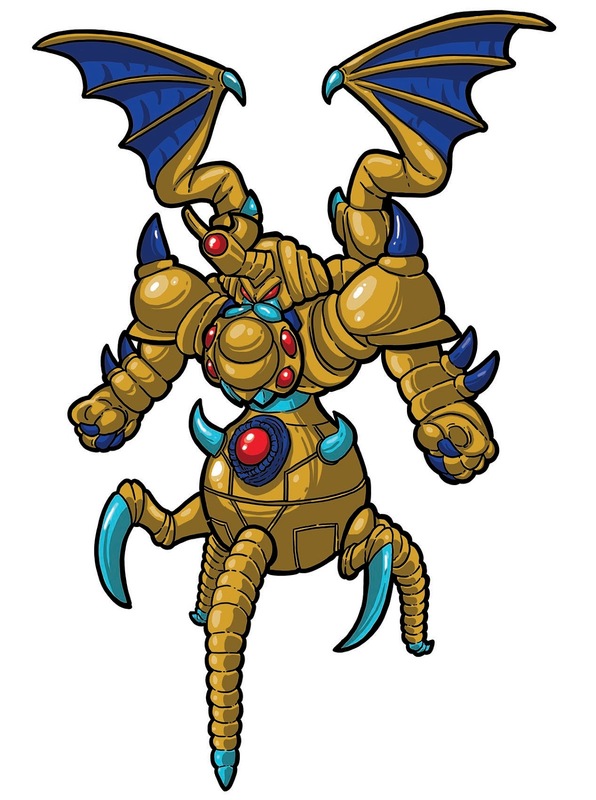 "Pharoid Godbeast"= 1 Kabuto Mushi + 1 Bio Mass Monster. Fed Ex updated their tracking eta from 9/7/17 to 9/5/17 and my full order arrived ahead of schedule!!! I spent 11 hours straight today processing & packing ALL Wave 22 orders!!! I dropped ALL the orders off at the 24 hour USPS dropbox at 12:30am today (filling to overflow their big cart)!!! HUGE THANX to everyone who placed an order!!! I truly appreciate the support!!! 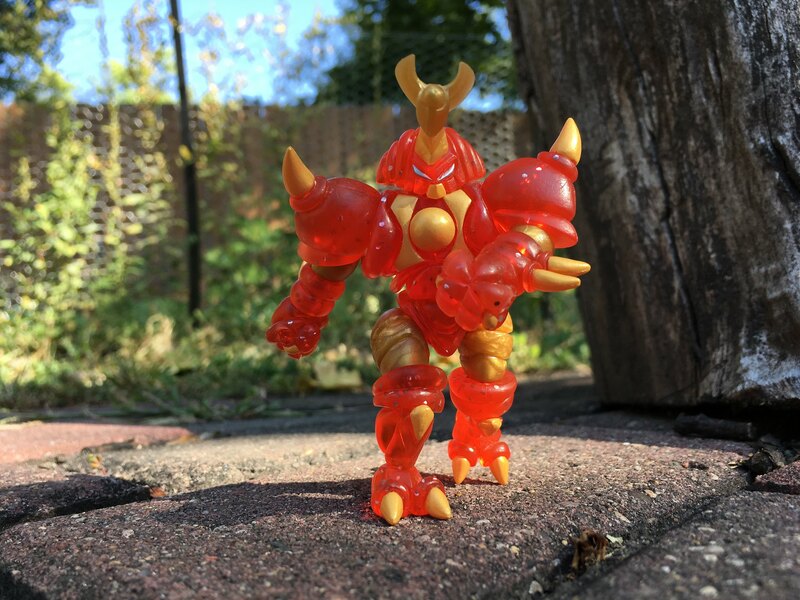 There are just a few of each Wave 22 Kabuto Mushi & Bio Mass Monster painters left (all are LOW STOCK) in the store. 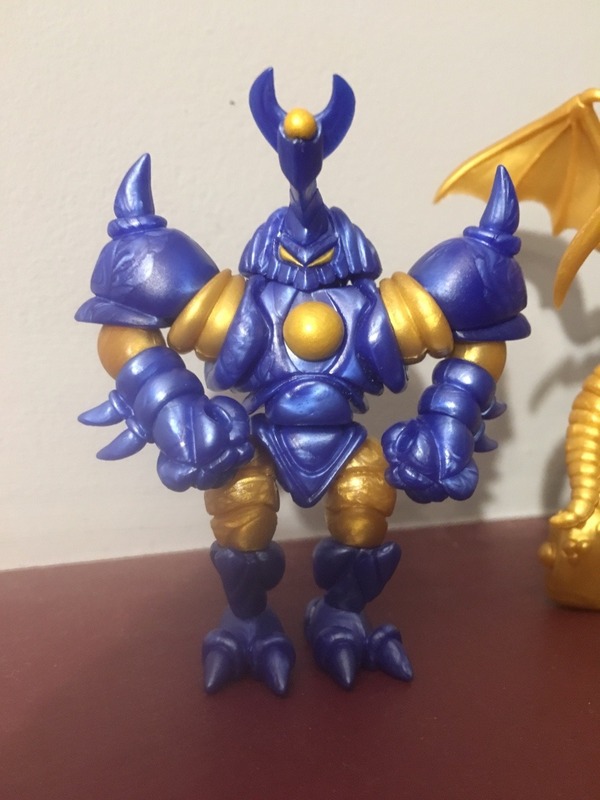 I also had a few extra unpainted sets or singles left (3 Villser Infected sets & 4 Pharoid Ultra Gold sets) from my samples) if anyone missed them 9/1/27, just email me at: thegodbeastcustoms@gmail.com First come, first serve! Finally, after waiting 2 years; I get to see my dream colorway. I remember asking back on the OctoberToys forum is somebody could do this mash-up to no prevail. Glad I got around to seeing though. 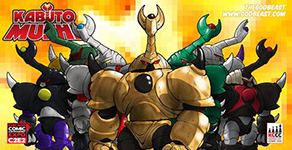 Also that Gold and Blue wings could totally be used for a Goldar homage. Artic_ wrote: Finally, after waiting 2 years; I get to see my dream colorway. 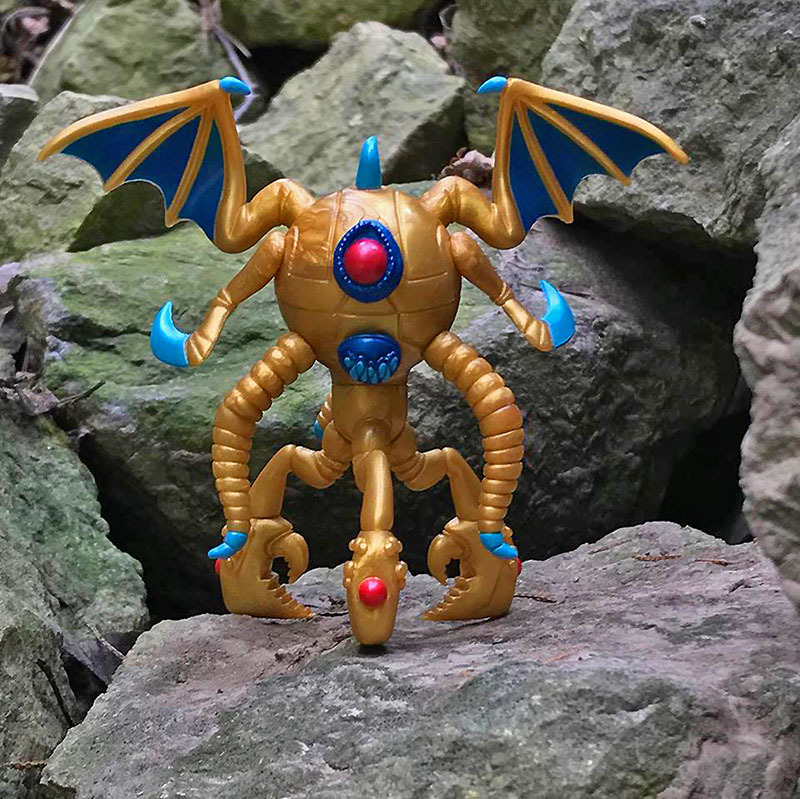 I also have been waiting patiently for the Gold Mushi to return to finally complete my Infection Cyborg with GOLD details! 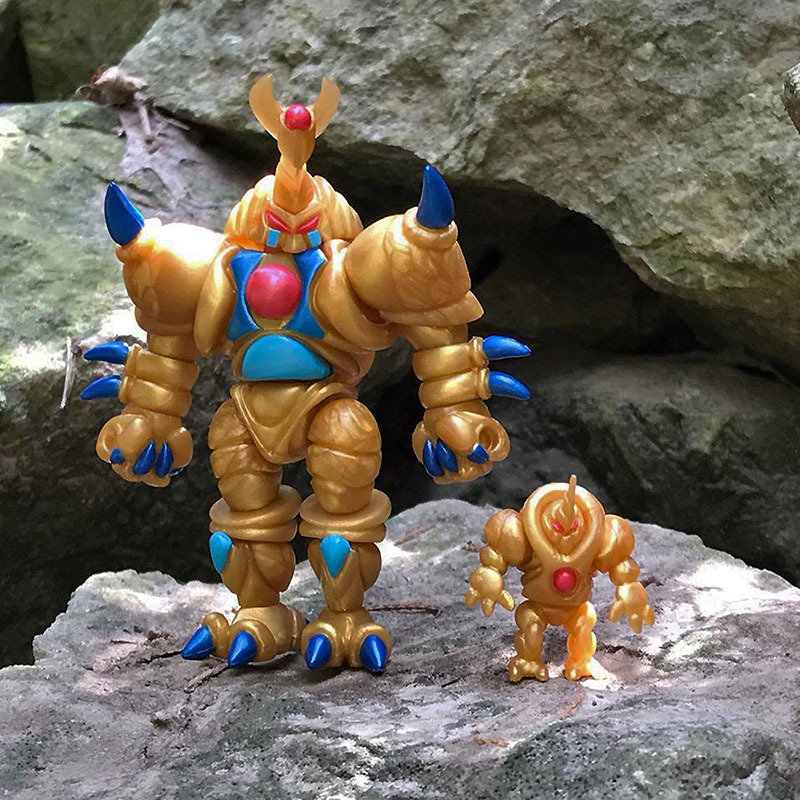 I was excited to make kabuto mushi again and now bio mass monster in ultra gold pvc!!! I truly appreciate everyone's support!!! So close across the board to a complete sellout for Wave 22!!! 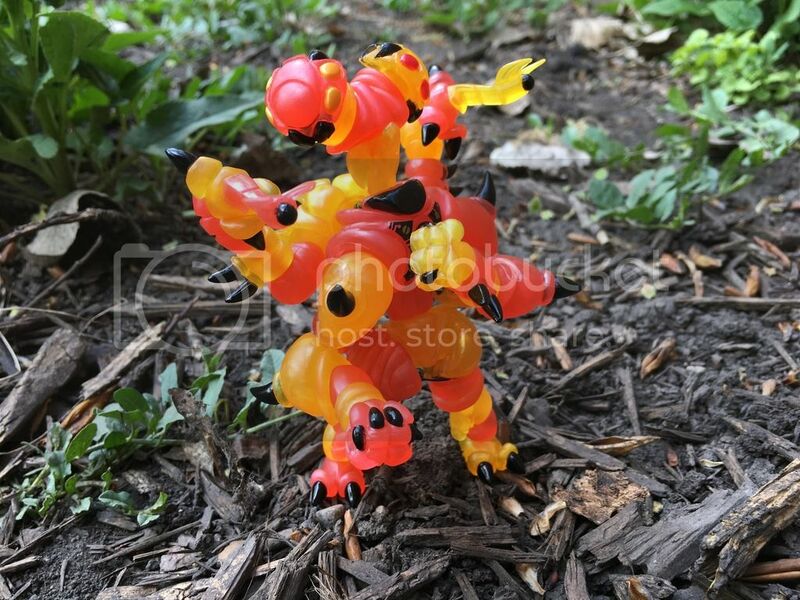 Again, anyone needing/wanting sets of unpainteds, I got a couple extra sets on hand, not in the store available upon request. When I loaded my #'s for the drop prior to my order arriving, I had to guess on the safe side (due to there only being 25 of each produced)...that left me with a few extra of each after they arrived. Maybe I will just load them into the store, but, until then...I have them sitting here waiting. Huge thanx again to everyone who ordered!!! Also to those coming back to the store ordering more!!! THEGODBEAST wrote: Wave 1 Nemesis (4 metallic pearlescent colorways) $12 each, coming end November/early December. Agree! So excited to see this (inside of 2017 too!) !